We’ve long looked at Russia as the world’s crazy cousin because the people in that country often do things we would never expect anyone in the world to actually do. Sometimes it’s not even the people that are doing crazy things but the animals that live in that country as well. You simply need to see some of these pictures in order to believe them. 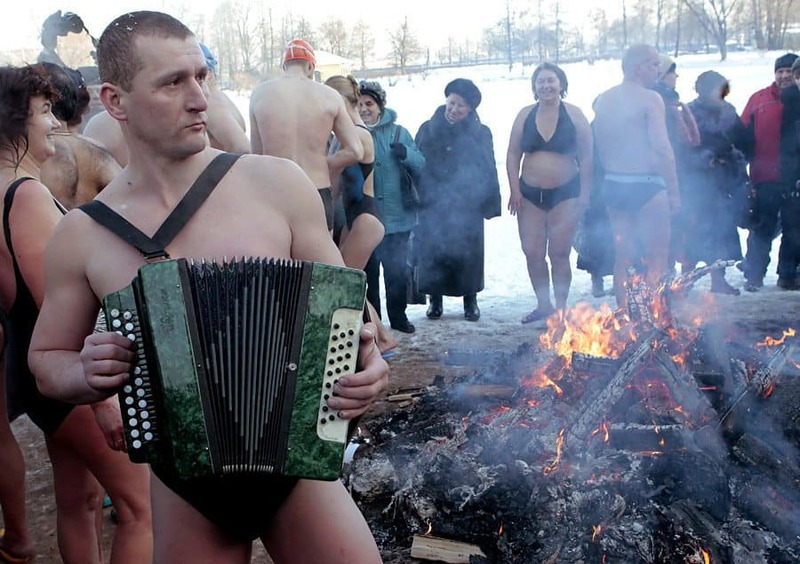 Whether talking about what some people are doing in their own homes, or when they are out there walking around in public, it’s pretty clear there are some scenes that you are only going to see in Russia. Check out our photos and let us know what you think in the comment section. 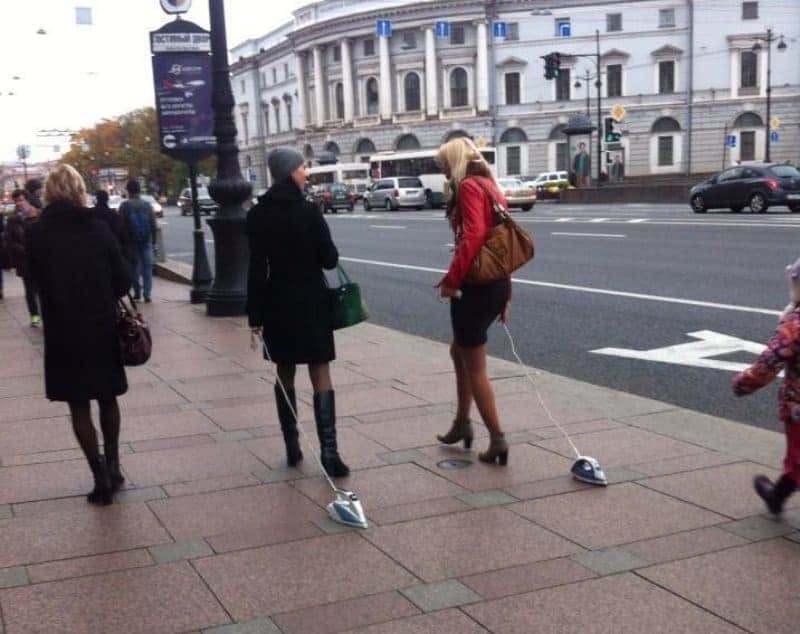 It’s nice of these ladies to give their irons some exercise. So few people think about walking their appliances. 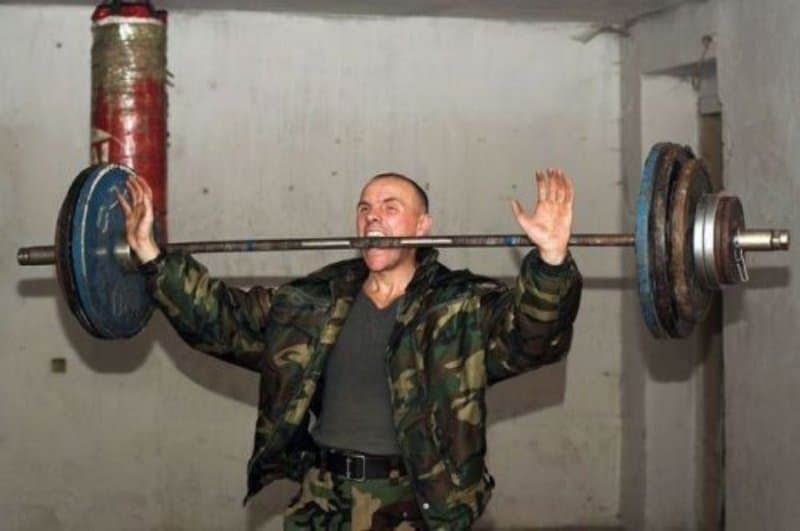 This man’s dentist must make a fortune. What Did This Polar Bear Do? 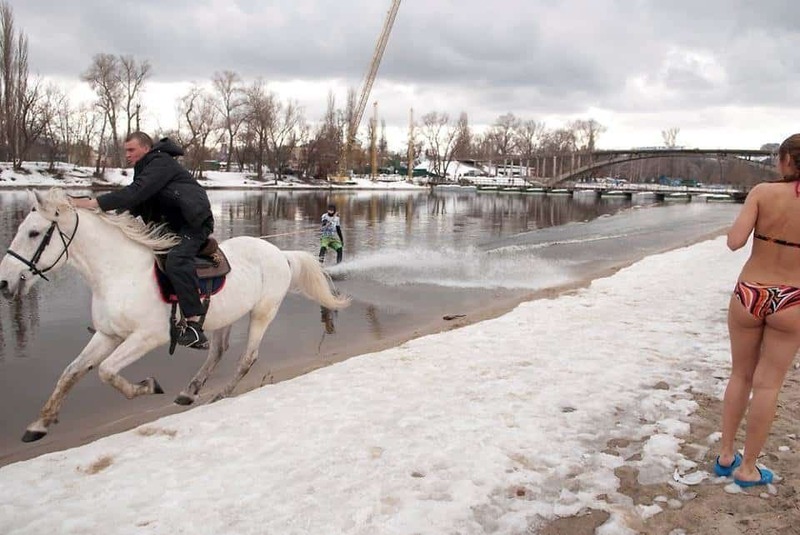 The police in Russia can be overly strict from time to time. 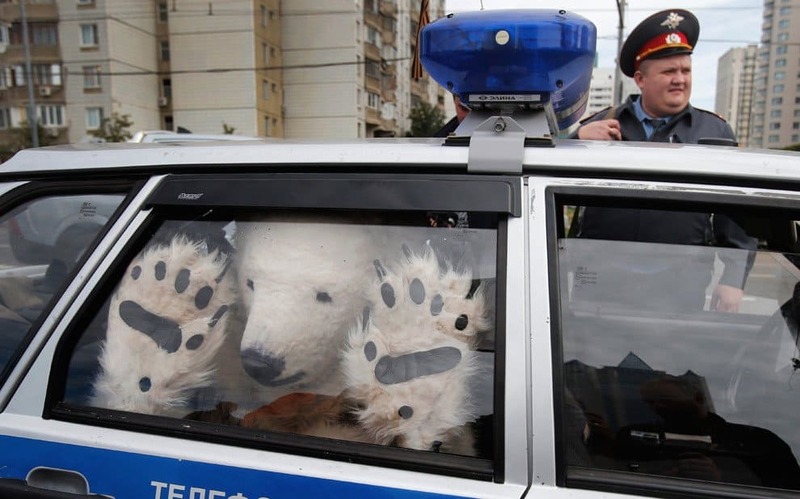 We wish this Polar Bear the best and hope he can make bail. 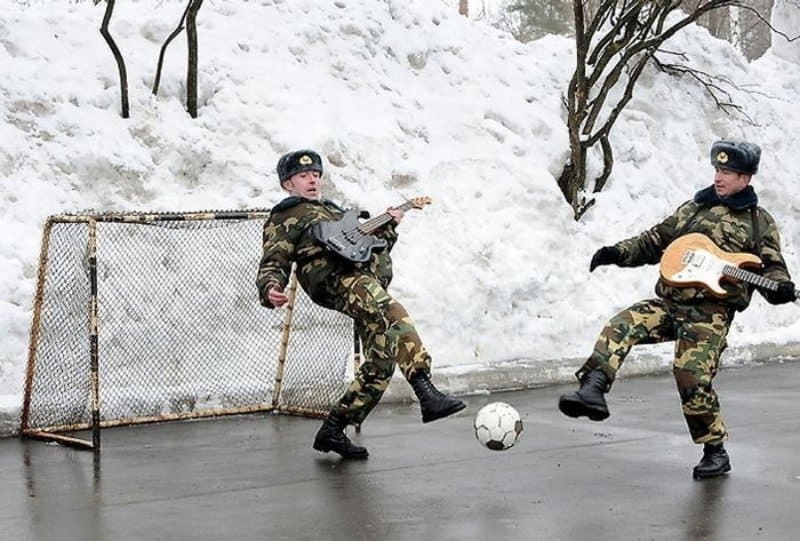 The Russian Military don’t have a lot of free time, so they’ve got to squeeze in as much into their down time as possible. This has become a quite popular sport because of that. When it comes time for Spring Break, people can get pretty crazy. 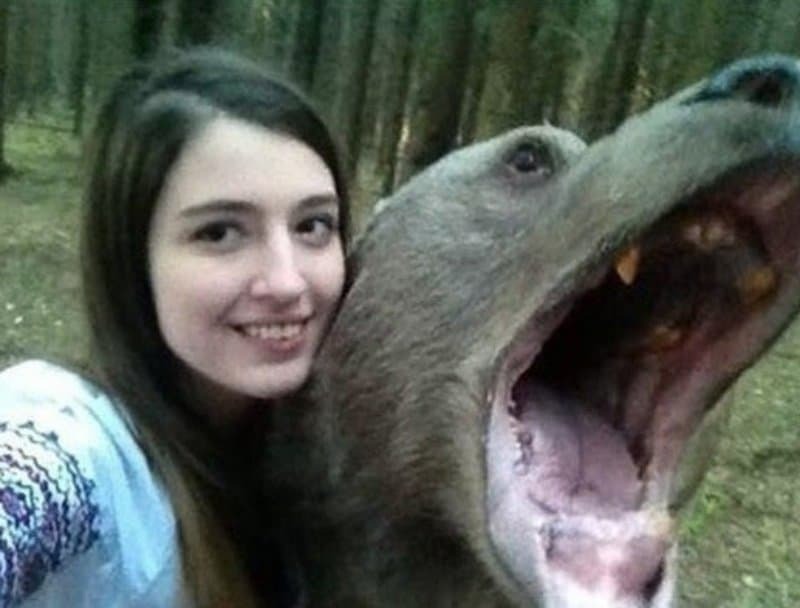 If there’s one thing Russia does right, it’s get crazy. 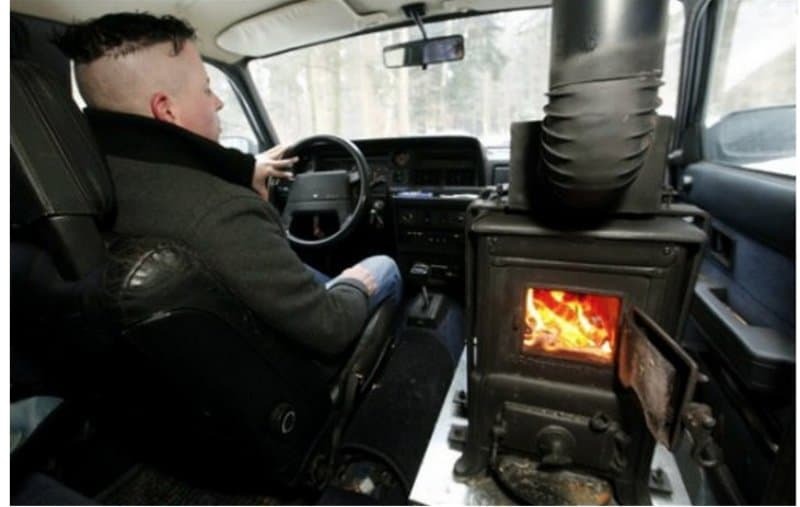 We’re trying to figure out whether this guy’s car actually runs on coal, or whether he’s just warming himself. Either way it’s insane. 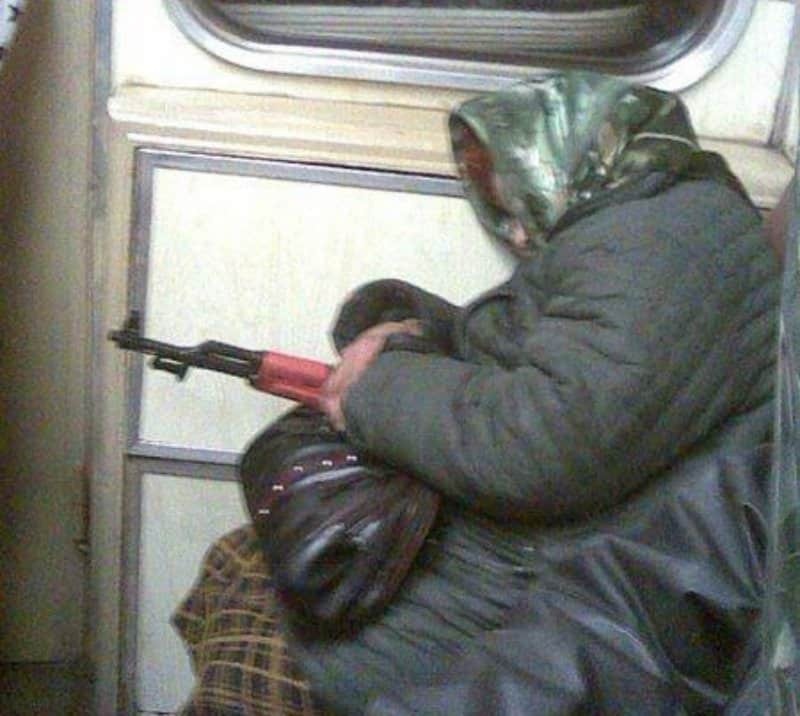 It’s not just that this old lady is well armed on the subway. It’s that she’s well armed with an AK-47. This woman is just trying to catch some rays on a beautiful winter morning and a horse race broke out! 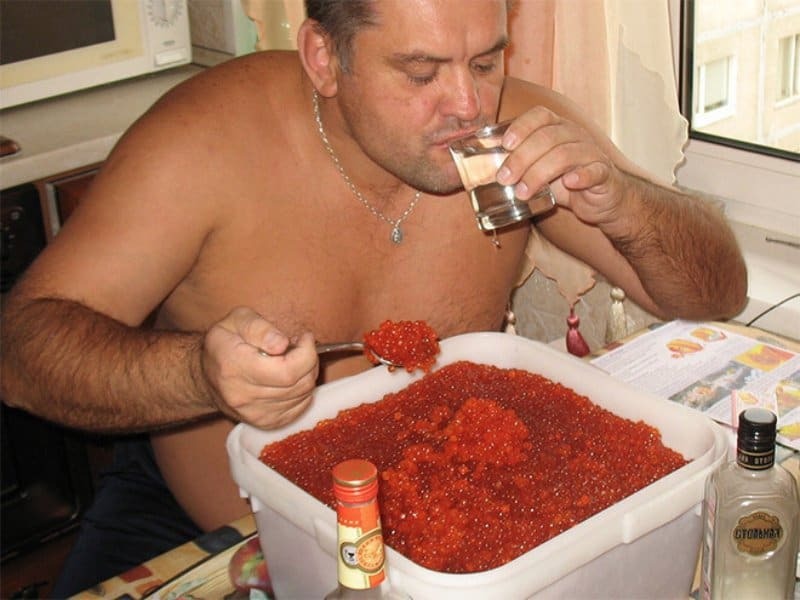 Yes, that is an entire container of caviar that man is eating from. Instead of milk for his “cereal” this man is starting his day by chasing his breakfast with some vodka.